On Saturday 27 August, Run the World 2016 showcased 15 extraordinary female entrepreneurs from across fashion, lifestyle, philanthropy and design sectors. Hosted at Ormond College by the Wade Institute, home to the Master of Entrepreneurship, the panel of inspiring business women included Lana Hopkins (Mon Purse), Jess and Stef Dadon (How Two Live), Mandi Gunsberger (Babyology), Cyan Ta’eed (Envato ), Anna Ross (Kester Black), Jess Gerring (Hello Hair), Felicity Rodgers and Narelle Craig (Cargo Crew) and Melma Hamersfeld (Metalicus). Get started. Add creativity. Be persistent. While starting a business can seem like a daunting proposition, Mandi Gunsberger, founder of Babyology, stressed the importance of not over complicating the process. Getting started with any resources available to you is the first, most difficult step. Sarah Holloway, Founder of Matcha Maiden, a certified organic green tea product, repeated the sentiment. “Just get started and get out there! You don’t have to have everything perfect before you start. As you go, things evolve.” she said. The panel also stressed creativity as an essential element for building a business. “To be a creative, one does not need a title or a desk”, said Melma Hamersfeld, founder of Metalicus who believes tapping into your creativity and drawing on existing networks can help with problem-solving. “Creativity is fundamental to what we do”, echoed Felicity Rogers and Narelle Craig, co-founders and creators of The Modern Uniform. “You need fearlessness to be creative. Foster a positive, engaged and fearless culture for bold and stunning ideas to emerge”. How Two Live founders Stef and Jess Dadon demonstrated the ‘financial creativity’ they used to launch their first lifestyle product ‘Twoobs’. A mere $500, incredible creativity, a touch of audacity, and a guerilla marketing campaign landed them on the front page of the Huffington Post. Collaborations offer a quick and easy way to grow your team, without having to support the expense of new hires. Finding a team to help her to reach her goals enabled Lana Hopkins, Creator of Mon Purse, a luxury, monogramed, bespoke handbag range, to play to her strengths and outsource the rest. 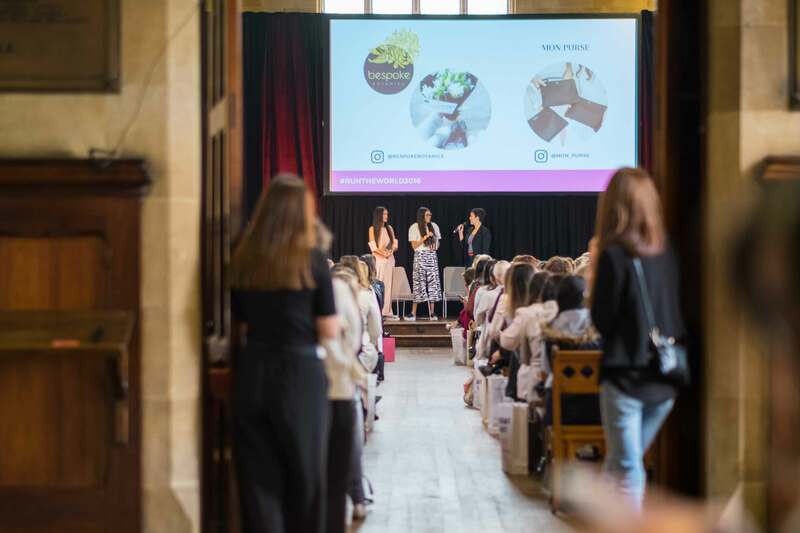 The Dadons, co-founders of How Two Live By suggested that “Connecting with influencers will see opportunities come to you” The sisters, who use social media to connect and collaborate with brands, have found that sharing audiences can help business grow each other’s brands. collaborative connections. Beyond the barriers lies something worthwhile. Remember that. Meaningful advice on managing the challenges of the start-up journey was provided by all the speakers at the event. 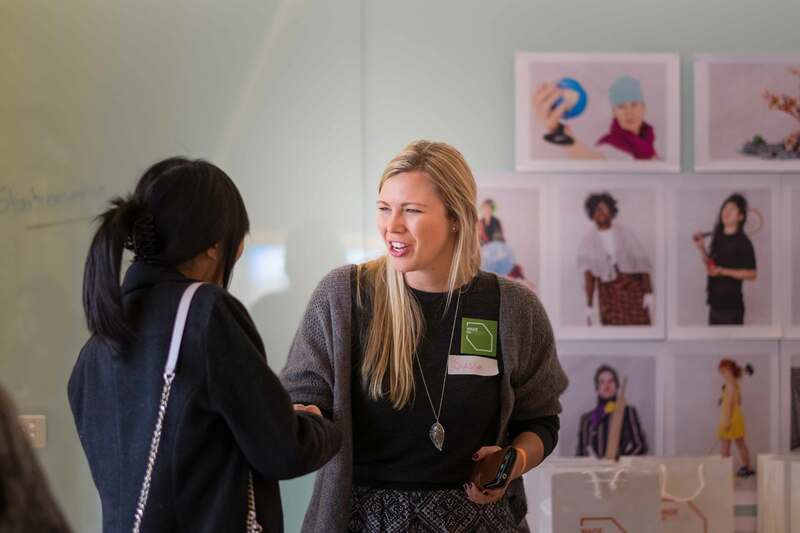 Anna Ross, founder of Kester Black, spoke to two critical lessons: 1) Setting your brand apart and 2) bringing joy to your work by aligning your company values with your own personal values. Building a flexible workplace approach that people would want to be part of drove Mandi Gunsbergers’s vision for Babyology. With a team of over 20 staff working remotely from around Australia, Mandi admits she aimed to “establish good processes and patterns which we could grow into”. Perseverance and a ‘never give up’ approach was a strong recurring theme for each of the speakers as they described building and launching their individual ventures. The message was clear that nothing is out of reach if you stick at it.